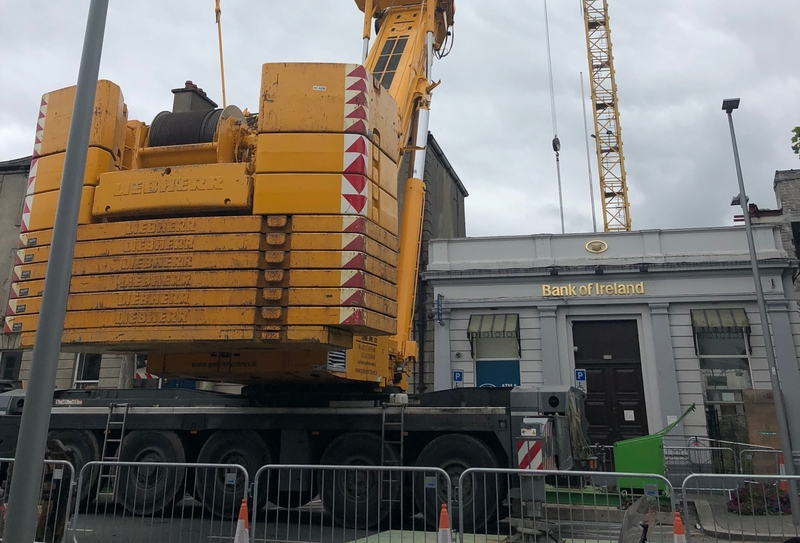 The last crane at the unopened Naas shopping centre is coming down today. The operation started early this morning is likely to be concluded by early afternoon. Three men are working stop the last structure and heavy lifting equipment was deployed on South Main Street. Traffic is moving slowly through the town as a result of the work. A "stop go" traffic management is in place, which means that traffic is moving in one in direction only for the duration of the work. The work was called off last Saturday and the previous Saturday because of the wet and windy weather conditions. The other two cranes were dismantled three weeks ago.